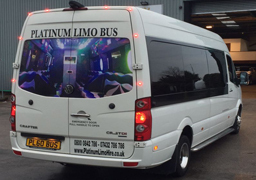 The Platinum Extreme Party Bus Hire Bradford has all of the luxurious features you would expect from a party bus. 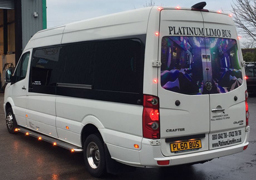 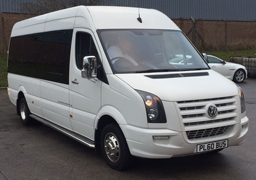 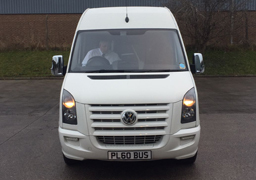 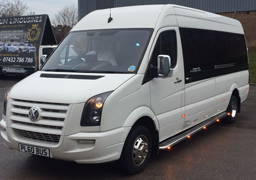 Popular events covered with The Extreme Platinum Party Bus Hire Bradford include: School Prom Bus Hire, Birthday Bus Hire, Stag Night Party Bus Hire, Hen Night Party Bus Hire, Airport transfer Bus Hire, Royal Ascot Bus Hire, Wedding Bus Hire. 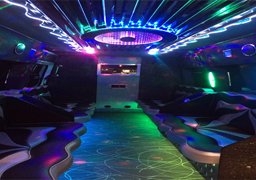 The Party Bus is by far the best mode of transportation for Prom Nights and Wedding Guests Bus Hire .